http://www.jerryselectronics.com/diykits/kbc00100/kbc00100.htm I recall building that in the 1970's. More recently I have build a number of digital clocks that synchronize with the time servers that can be accessed over the Internet. Several of them sit on top of my PC's monitor. My latest digital clock is based on this video and the code found there. https://www.youtube.com/watch?v=YUtqLjs-alo Many thanks to John Rogers who posted the video. 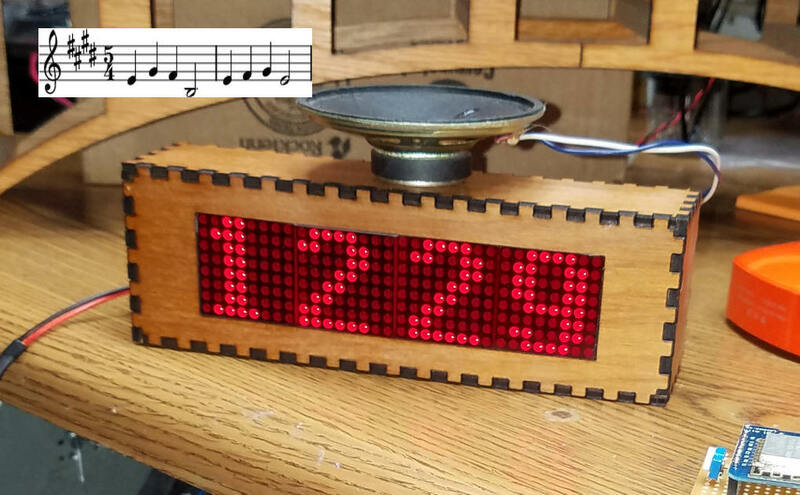 While the Arduino that I am using for this project is capable of producing rudimentary sounds that could resemble Westminster Chimes I opted to use an MP3 player that sounded out recordings of the chimes. This gives much better audio quality and flexibility to use whatever sound you choose to play. One of my clocks is shown here. It continuously displays the time and sound the chimes at 15, 30, 45 minutes after the hour and on the hour where it chimes the number of the hour. I have used the MP3 player that is used in this project many times before. It is the DFPlayer, an inexpensive, high quality MP3 player that stores sounds on a micro-SD card. 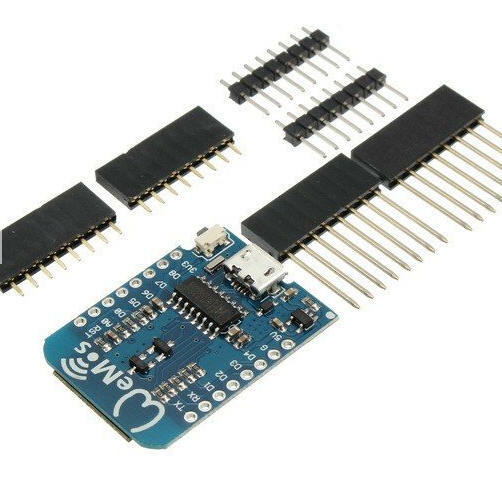 For more information on this device see: http://www.trainelectronics.com/Arduino/MP3Sound/ This page also suggests where it can be purchased. Files for the MP3 player reside on a micro SD card in a folder named mp3. There are 6 sound files for the Westminster Chimes. A shorter version is here: mp3-shorter.zip To make these files I changed the Tempo in a sound editing program called Audacity. Only a few parts are needed. The processor is a Wemos ESP8266 that can be ordered from BangGood and Amazon. The DFPlayer MP3 player can be found at Amazon and BangGood as well. 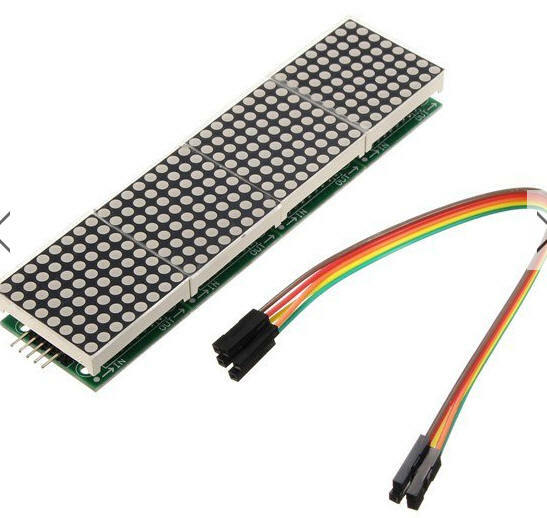 The LED Matrix display can be found at Amazon and BangGood. The display's visibility can be improved dramatically by adding a red filter. I use a red, self-adhesive film that can be found on eBay, but red acrylic will work, too. In addition you will need a 1K resistor, a 10K (a 50K or 100K will work, too) and an 8 ohm speaker. 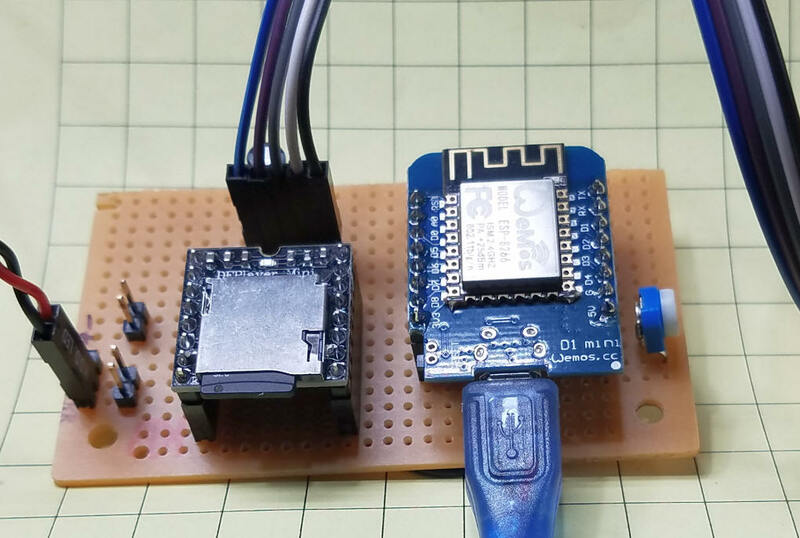 The unit can be powered from a USB cable to the Wemos D1 or you can use a voltage regulator circuit that supplies 5 volts. As you can see from the schematic the wiring is very simple. This photo shows my prototype that was built on a small circuit board. The Wemos D1 processor with WiFi is on the right side of the board. 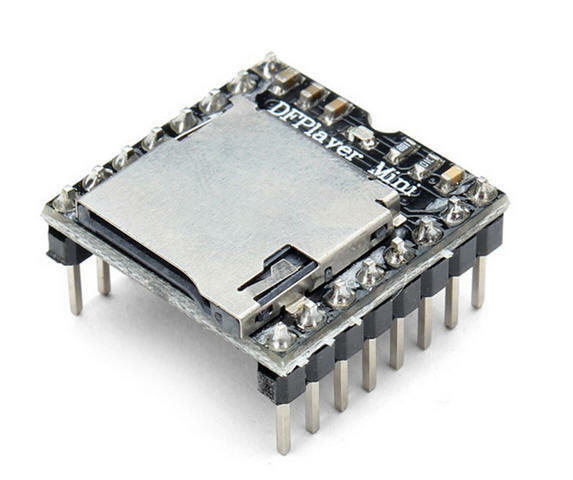 It is connected to a USB cable to supply power to the circuit. The DFPlayer is to its left and contains a micro SD card with the sound files. The speaker is connected to the red/black wire that goes off to the left of the photo. Be sure to use an 8 ohm speaker with the DFPlayer. If you only have a 4 ohm speaker put a 3 to 5 ohm resistor in series with the speaker. The 4 module display has been placed behind a piece of red acrylic to make it more visible. This close-up shows the potentiometer (to the far right) that can be used to adjust the brightness of the display. Most of the wiring is on the back of the board. It follows the schematic. 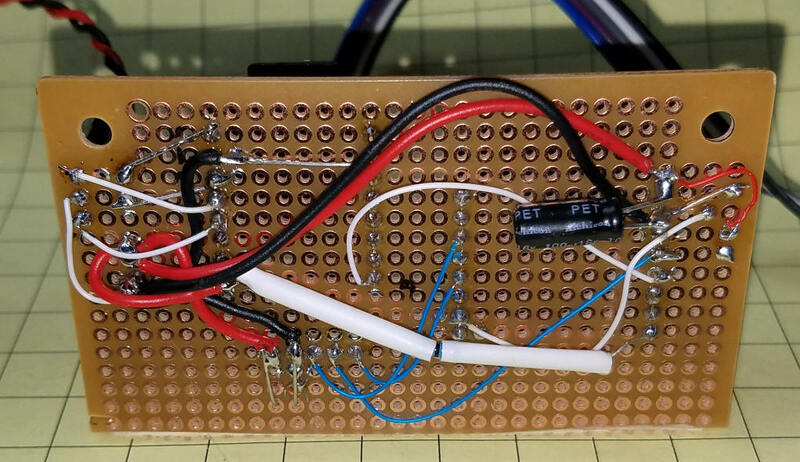 The only part that is not shown on the schematic is the black capacitor that was placed on the power input connections to filter the DC power when I used a noisy external power supply. It is not necessary if you power with USB through the Wemos D1. The 1K resistor is under the white tubing. 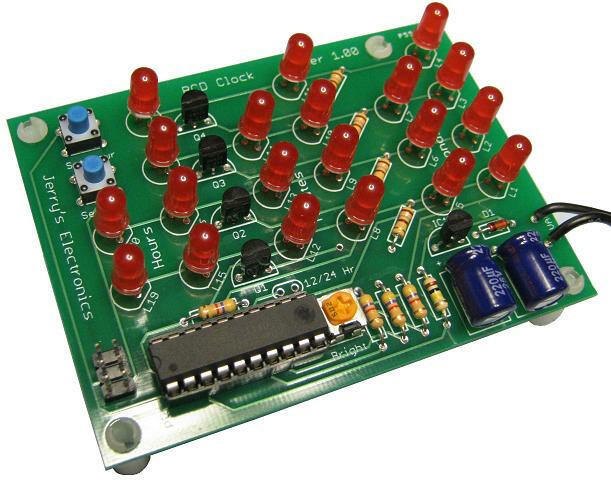 Click here to download a ZIP file of the Arduino code and the MAX7219 & fonts files. // Thanks John Rogers ! The clock with its accompanying Westminster chimes has been operating in my workshop for some weeks and provides a very reliable time and pleasant tones every 15 minutes. I plan on making high quality recordings of my mantle clock's chimes to substitute for the sound I now have on the micro SD card. The next project will be to add hands to the clock and to mount it in an appropriate enclosure. 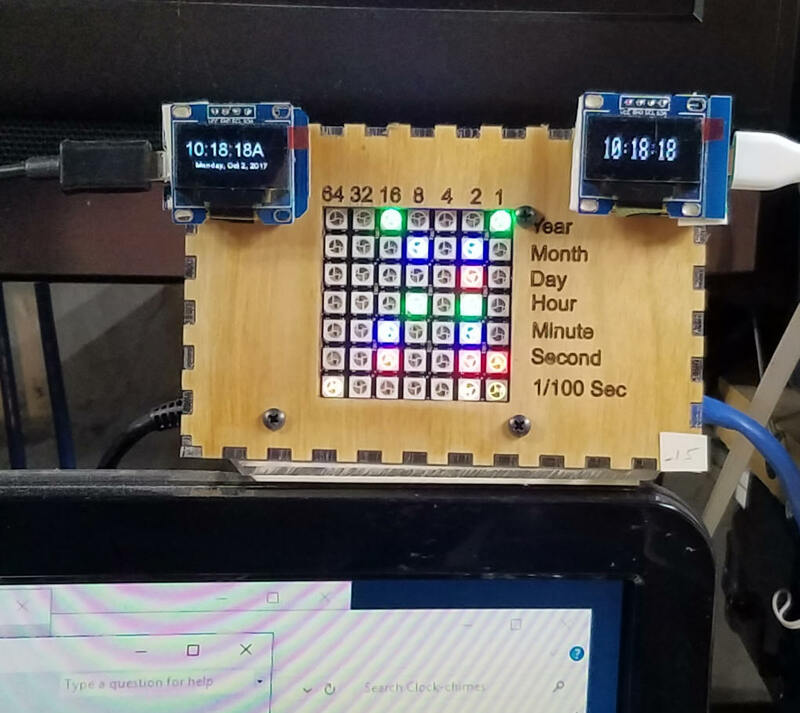 I hope you have a chance to experiment with WiFi connected clocks, too!